« This is funny – 40 Yard dash. This entry was posted on May 20, 2010 at 5:23 pm	and is filed under sports, Uncategorized. Tagged: alex rodriguez, AROD, aron, baseball, jose reyes, mark teixeira, NY Mets, NY Yankees, Robinson Cano. You can follow any responses to this entry through the RSS 2.0 feed. You can leave a response, or trackback from your own site. A thought typical of the Yankees & their brainwashed fans. When the evil empire acquired the greatest SS in the history of baseball, one who was defensively superior to their current SS, did they move the incumbent to another position? Heck no. With management afraid to offend that SS, surely the captain of the team stood up & said, “Hey, you have to do what’s best for the team & change positions? It’s in the best interests of all of us to have the better defensive player play the most position on the field. Surely you agree & understand that.” Wait a minute, the SS IS that captain! And NY baseball’s “great leader” didn’t do what was in the best interest of his team? And nobody, including the sycophant NY press, called him out on this? Shocking! 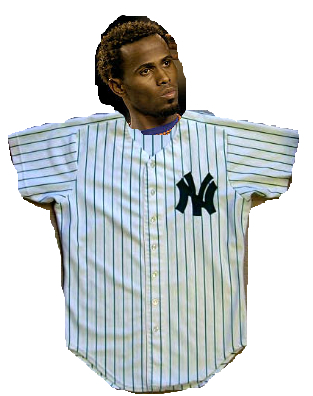 So if the vastly defensively superior Jose Reyes was on the Yankees, OF COURSE he should play SS over the NY-created myth known as Derek Jeter. That is not a statement on who is the better all-around player or on the merits of their careers or anything else. It’s a simply a statement of who is the better defensive player RIGHT NOW. And that player is Jose Reyes. If you don’t understand that, turn off the TV because you do not grasp what it is you’re watching. Wow. An angry Mets fan. There are plenty of physically talented athletes who have very average professional careers. I would much rather have Jeter handling the infield at shortstop. He is a team player, a proven, clutch performer and has significantly contributed to 5 World Series Victories. You never see Jeter not making the average play. Just a couple of weeks ago, Reyes took an average ground ball, dogged it, and the runner beat it out. Attitude matters. Jeter is a leader on and off the field. The only time Reyes has shown any leadership was when he and Delgado underhandedly ran Willie Randolph out of town. It was amazing how Reyes and Delgado started hustling once Willie was gone. True Professionals. Not. “It’s a simply a statement of who is the better defensive player RIGHT NOW. ” It’s not so black and white, as you would like to believe. Jeter makes all the plays that are supposed to be made. Reyes, at 9 years younger, is more of a pure physical talent, and makes some nice plays … when he feels like it.